It’s 2017, and we now know that gender-neutral toys empower kids and support cognitive development – but it wasn’t always the case that toys were marketed to all kids. Inventor, educator, and software developer Janese Swanson was always interested in how kids learn. After her experiences working in the software industry and shopping for toys for her daughter, she noticed that nearly all technological toys were being marketed to boys. This marketing was leaving girls behind, and Janese realized that in order to close the gap in STEM, tech toys needed to be marketed in a way that would not exclude girls. Janese’s work as an inventor laid the groundwork for kids’ toys today! Janese became a flight attendant after her school experienced lay-offs, and in her spare time she used donated laptops to teach her fellow flight attendants computer skills. She also worked as a substitute teacher during this time, inventing games that were later incorporated into the popular educational computer game Where in the World is Carmen Sandiego? by Broderbund Software. Her education and teaching experience culminated in a product management role at Broderbund in the late 1980s, her first official foray into the world of tech toys. At the time, tech toys – everything from electronic gadgets to video games – were primarily being marketed to boys. Janese realized that the solution would be to create toys that would appeal to girls and nurture their interests in STEM rather than making them feel excluded from the tech world. When she started her first company in 1992, Janese set out to make tech toys marketed to girls. However, doing so was more difficult than you’d think! When Janese’s first licensed product – the YakBak®, a handheld toy that would record and play back a child’s voice – was set to be released, Janese and her daughter were excited to see a tech toy marketed to both girls and boys. But when they watched the first YakBack commercial, they were upset to see that it featured a boy using the toy to argue with and ignore his sister. After another iteration of the toy was marketed as the TalkBoy FX®, Janese knew that something had to change. In 1998 Janese went on to sell Girl Tech to Radica Games, which is now a division of Mattel. She’s also licensed tech to Hasbro and Sega – it’s likely that you’ve played with one of Janese’s inventions yourself! From the Girl Tech Password Journal to the Carmen Sandiego games, there’s no doubt that Janese influenced a generation of kids with her innovations. She continues to play an important role in developing kids’ brains by teaching technology and design at the Del Mar Union School District. Although innovators like Janese Swanson paved the way for more girls and women to enter tech, there’s still a lot of room for growth! Here at Tynker we’re proud to be helping bridge the gender gap in STEM by letting girls learn to code – check out some of our makers here! 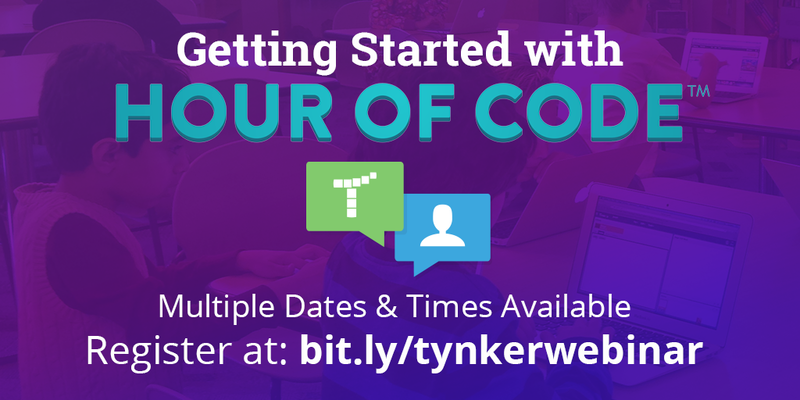 Register for the Tynker Hour of Code Webinar!